I take daily readings of the beach & ocean conditions on the North End of Long Beach Island, New Jersey. I do this primarily for the amusement of my family, but have created this blog to share my morning readings with you. Common readings include water temp, temp, wind, fly, wind fly (is the wind strong enough to blow the files away), shell report, umbrella wind (is the wind strong enough to blow your umbrella away), wildlife, pirate, and many more. I take requests. Tractor bleed readings are not necessary on a daily basis. The sand tractor will bleed us all, each and every day! Yes, you are welcome to link to the readings anytime. I start the reporting on June 15th! I discovered this site a few months ago and have been following it ever since. It is most enjoyable, the pictures are phenomenal, your readings both humorous and instructional. Thanks or your efforts and keep them coming! Thanks! I’m glad someone has found something useful in my nonsense. LOL, your “nonsense” is one of the highlights of my day, especially when I am far from LBI. I’m happy to hear that because nonsense is the highlight of my days too! Cheers. What a delightful blog! Wonderful writings and photos. I found while searching web for any recent comments re jellyfish at Harvey cedars bay beach. While their with my daughter the other evening- around 6pm- I found myself entangled in large stinging jellyfish web. Made for a very unpleasant evening. Better by next morning for the most part. Was this relatively isolated event? Hoping so…. Joanne I.
I heard a rumor that some shark were spotted near beach – not sure if LBI, but def in NJ…I figure the Great Whites at least pass by…not sure how up close though! Yes, spotted by me! I saw 3 sharks, all about 4 feet, while paddleboarding a few days back, just past the break. A first sighting for me. Enjoying your blog immensely, and have to thank JMann for the heads-up. As one of the boat fisherman you see transiting BI, I am always interested in the movements of fish, birds, etc. Fantastic. Yes, I always try to get a “Jay Worthy” photo so I can bug him, emailing and picking his brain. Cheers! And keep us posted on anything interesting you see out there. IMHO you could upload one of your “west wind rainbow” shots!!!! whatcha think? Yes, I think there are some good Harvey Cedars surfing shots from the day after Hurricane Irene. Thanks Bill! yesterday, I was going to submit one of your pics for that page, so I put a watermark on it “Courtesy of Readings from the Northside”…. but never agreed to their terms and conditions as it was not my picture to share. However, this morning i see it is there. Let me know if it’s ok, or I will ask them to take it down. Absolutely fine. You have carte blanche to use these photos in any Island-positive manner you see fit. Thanks! Thanks! I use a Canon 60D. I shoot all of my photos on just one beach on the North end. There is nothing particularly special about the beach. The point is, you can park yourself anywhere on the Island and with a little patience and attention, an amazing world will slowly open up to you! Mornings (between 7 & 10) are always great times for wildlife. Anytime of day can be active, but the humanz tend to scare everything off mid-day. Evenings are great too, but you are always racing the setting sun if you plan on taking pictures. At BL, I have heard that the huge beach at the North End of the Island is spectacular and that many gulls bring their young there. It’s a place I want to visit, but like I said, I never leave my beach! Sandy’s brother-in-law Larry here. Love the bird reports and your blog, etc…makes me feel like I am there when I am not. Speaking of bird watching I am in great need to find a a “roost” at 1PM Sunday to watch some Ravens (as in Baltimore type) and Eagles (as in the Philadelphia type)…any ideas where to find these birds? I miss the daily readings, hope you, Mac Daddy, and the CheezIts are ok! Thank you for a most enjoyable summer as I kept kept up with your remarkable Readings and also looking at some of THEE most awesome LBI pictures I’ve ever seen. Do have a great winter!! I look forward to getting more of your Readings in the future. I’m so glad I learned of these postings. Ben Wurst is my nephew and I summered in Beach Haven when growing up. Your photos and comments are great! We’re going to need to see some ID. I bet lots of people out there would love to claim to be related to our Osprey Hero, Ben Wurst! I found your site via the Sandpaper article this week, a prolific treasure, that I’ll be perusing over the weeks and months ahead. I’m also jealous of your images, as I too enjoy walking with the camera on the beach – Island Beach State Park, specifically. My photo web blog is Mvschulze@wordpress.com, currently running a series about a cross-country road trip from a long time ago, captured then with a manual EXA SLR. Thanks exit74! Your photos and commentaries are outstanding. Love this blog, I’m so glad I found it in the Sandpaper a couple weeks ago while vacationing in Beach Haven (my favorite place in the world). I knew as soon as I got home I had to follow your page so that I could get beach updates while I’m stuck at work every day…until I come back next year! Your photos are wonderful, and the perfect escape! May she? If you would like credit, how shall it be phrased? Sorry to hear about Edie. Yes, of course, the photo is yours. I’m honored! Your blog and creative photography blow me away! I just started following Readings… To me you are Jane Goodall, Robin Williams, and an Audubon photographer rolled into one! More personally, I grew up summers and weekends on my Northside, Harvey Cedars. I raised 3 kids here who share my LBI passion. By visiting your site, I’ve learned new interesting tidbits about our shore birds and animals while being entertained and amazed. You have inspired me to make a small donation to the Osprey project. I agree with your Aunt Wendy that your latest Buk Buk perspective is the best ever! I can never take another ordinary shore photograph again LOL. Pleaze keep your postz coming! I am a huge fan!! I don’t de-lurk often, but I am compelled to share. Just like your other groupies, I enjoy LBI and also your words and pictures. I notice a common theme in your posts (aside from sand and birds) is encouraging people to support those that work so hard to take care of our precious sand and birds. Have you considered sharing your lovely work in a hard copy format, like a book (http://www.blurb.com/)? You could then donate proceeds to the Osprey Heroes. Learned of your site from The Sandpaper. I check it out every couple of days and thoroughly enjoy it. We have a house on the island and looking at ‘Readings from the Northside’ allows me to be on the island even when I’m not. Keep up the good work! My dad lives in High Bar Harbor and just sent me the link to your blog (I’m in Washington State). It’s wonderful. I think you’ve recruited some new members for the Conserve Wildlife Foundation of NJ. Thank you! I, also came across your story and website from the Sandpaper article last summer and have been following you ever since-even signed up recently for e-mail notification (#321) to be sure I didn’t miss any of your postings. I must say I missed them in your absence/travels. You have motivated me–especially with the Snowy pictures. I’ve hiked at Holgate 5 times in the last two weeks and have taken hundreds of pictures of the Snowys. Three of those trips included “backpacking” the entire length. However, I have been disappointed with many of my pictures–too soft. Do you use a tripod for all pics?? And, if you are willing to share, what camera/focal length are you finding most useful for these Snowy pictures in particular. I’m using a Sony SLT a77 and an older Tamron 200-400mm f 5.6 and know this combo is capable of better quality photography than I’m getting!! I also realize it is not going to perform like the larger aperture lenses. Lastly, I’ve been zealously giving your “Exit 63” website to many family, friends and people I meet along the beach. Thank you for your beautiful photos and your informing us of the wildlife challenges faced on the Island as well as some of the naturalists and organizations that are dedicated to preserving the wonderful environment that we have here in Southern Ocean County. Awesome! Sharpness is an elusive goal for me too. Most of the Snowies you see here are shot at 400mm at 5.6, and some recents ones at 600mm f8. Supporting a lens helps. I often use tripod, bean bag, remote shutter release, and mirror lockup (probably pointless)… everything and anything to get as sharp as possible. Firing off lots of shots quickly works sometimes too. But it is always a bummer to come home and have 9 out of 10 photos be softies. One technical tip… I only use prime lenses despite the sacrifice in flexibility. Zooms tend to have soft spots, especially when fully zoomed. Many lenses are sharpest just a touch back from the max focal length, so zoom out to 400 and back off a little. Also many lenses are sharpest a stop or too off the max. So you might want to try 380mm at f8. Again, thanks. No reply expected. Enjoy your time on LBI and I’ll be waiting for your next post. Oh, I’ve been looking for Snow Buntings at Holgate but haven’t seen one yet. Doesn’t mean they’re not there- maybe I’ve been too mesmerized by that other fowl with “Snow” in it’s name. Google that lens, and there are some recs that say it is sharpest at about 360! Cheers, and Merry Christmas to you too. My son recently sent me the link to your beautiful Snowy pictures, and I am taken by the artistry of all you wildlife photos. My folks have had a house in Holgate the past 35 years, and my husband and I recently bought our own shore home in Holgate…I look forward to being able to walk the shoreline more frequently….once all of the painting gets done! I am a bird and animal lover, and though I haven’t seen these owls in person, I appreciate that you’re sharing them with us. I’m hoping that perhaps you sell your photos? I must say that it doesn’t look so, but maybe you will consider it in the future! I would love to be able to frame one for our beach house. Thank you, and I look forward to enjoying your unique perspective on LBI. Just found this and it is fantastic. My dad has lived in High Bar Harbor since 1974. My wife and I are planning to retire to LBI. We are a bit anxious about life in the winter. Your blog shows the natural beauty that we can enjoy. Incredible pictures, your wildlife captures are truly remarkable. I would love to know what you use for a camera and for lenses. I see that you have a few wave/surfing pictures, you should take more! Anyhow, keep up the great work! I just found your site and love it! My mom lives in holgate and I am able to go down on weekends. I went to the end of the island this morning to look for Eagles and took some pictures of other birds I saw (no Eagles). Can I send them to you so you can tell me what they are? What time of day do you usually go out? I went around 7:30 this morning. My name is Jarrett Corke. I am the Ocean Species Advisor at WWF-Canada based in Halifax, NS. I am currently developing a marine species identification app to assist fisheries observers, fishermen and the general public in making timely and accurate identifications. This is a non-commercial app that will be a free download once it is completed. I would very much like to use your photo of the smooth dogfish from August 17, 2012 to help show its identification characteristics. If it is OK with you, could you please indicate what credit information that you would like to accompany the image? Please let me know if this would be OK with you. Hi! Yes, you are certainly welcome to use it. You can credit “Readings From The Northside”. Cheers! I’m writing from Pioneer Productions, a TV production company in the UK, where we are currently working on a weather series for a major US broadcaster and international distribution. Hi! It’s Lizzy…Tommy’s daughter. I came upon your blog and it is so delightful…your photography is incredible. I am down in Charleston Sc enjoying the beaches as well! I know you! Cheers! Hope you are finding much joy in SC! MY PLEASURE. Literally, it is my greatest pleasure. Like, in the whole world. Hi! I just had to thank you again for rescuing me on the beach in Holgate today. My camera seems to have survived the rain, thankfully. You know, you are even nicer in person than you are on this blog, which is really saying something. Meeting you has definitely been a highlight of my vacation! I’m a photo researcher at the National Audubon Society. 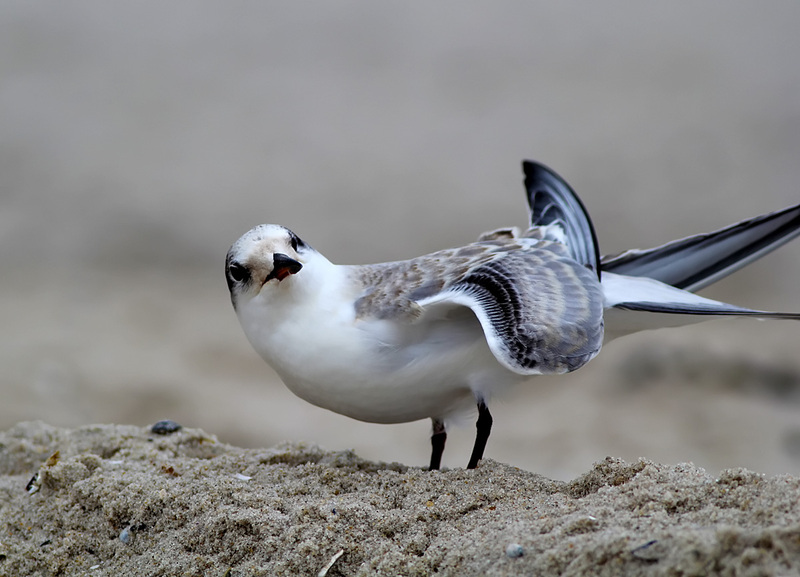 We often are looking for great photos of Plovers and would love to work with you in the future! Also wondering if there is somewhere you keep a gallery of all of your photography? I am the Director of Creative Services at Crabtree + Company in Falls Church, VA and I have seen some of your work online and have interest in one of your images and to see if we may be able to purchase one-time usage rights for it? I hope to hear from you. I live across from Ospreys Jack & Wendy near The Foundation. A red wave runner has been setting a minnow trap (crazily enough) next to their nest – parking right up onto their stand. He is spooking the pair and their chicks and should not be capturing baby fish in the estuary. Any idea what should be done? I’ll pass this on. That is a pretty active location with many walkers and dogs. They are kind of used to disturbance at this point. I’m not excusing or saying it is ideal… just pointing out that they can probably handle it if nothing can be done to stop the jet skiers. And, if you noticed, it looks like they have two young beauties in that nest! how do i order a print of one of the photos? Heard your story on NPR’s Invisibilia and I had to see it for myself. I originally thought the idea of your blog was brilliant, but after reading through all of the stories I was blown away. This is everything I love: humanizing animals, wit and sarcasm, with a touch of celebrity gossip. Just awesome. Thanks for sharing! My name is Emilie Luttman, and I am currently a graduate student at Montclair State University. For the past several summers, I have had the privilege of volunteering as a shorebird warden with Piping Plovers at Sandy Hook NRA, and I have recently been given the opportunity to talk about my experiences in a professional talk that will take place in March. I would like to mention the history of one of the banded birds that nested on Sandy Hook last summer, Tacey. So I was wondering if it might be possible if I could be given a brief description of her breeding history at LBI and Sandy Hook. I would love to be able to tell her story to the audience at my talk, and to help them identify with the adventures she has had over the years. I would greatly appreciate any assistance that could be provided, and I look forward to hearing from you soon.